Ash Ketchum dreams of becoming a Pokemon master. With his best friend and first Pokemon, Pikachu, by his side, Ash is determined to be the best Pokemon Master in the world. Throughout his adventures, Ash and friends meet countless enemies, allies, and monsters and begin to earn a reputation for themselves. Episode 9 - Parallel Friendship! Episode 4 - Don't Ignore the Small Stuff! Episode 1 - Lillier And The Staff! Episode 49 - Turning the Other Mask! It's time for the Masked Royal to face his old rival in the ring, but first, there are a few obstacles to be dealt with! Episode 48 - A Plethora of Pikachu! The rumors are true, and our heroes can't pika-believe what they find! Episode 47 - Securing the Future! The Ultra Guardians, along with Faba and Professor Kukui,are attempting to return The Blinding One to its original form! As Necrozma inits “UB Black” form, it’s holding Solgaleo captive and threatening Poipole’shome world. Episode 45 - Full Moon and Many Arms! The Ultra Guardians spring into action to protect Lunalafrom the mysterious creature who has chased it through the Ultra Wormhole! UBBlack (as Lusamine later calls it) drains the power from Lunala’s Ultra Aura,then fastens itself onto the Legendary Pokémon to absorb it! Our heroes manageto fight it off with the help of Solgaleo, but the creature turns a similarattack on Solgaleo, absorbing it and escaping through an Ultra Wormhole. Episode 44 - Filling the Light with Darkness! 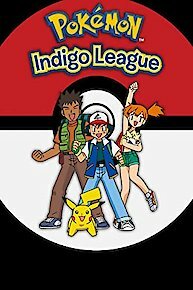 Professors Kukui and Burnet have a hard time getting up inthe morning, and when Ash gets to school, he discovers that the adults in hisfriends’ lives are in the same boat! The Aether Foundation team has a theory,but they’re exhausted too, so Ash takes charge of the Ultra Guardians (nowincluding Gladion) to investigate. Episode 43 - I Choose Paradise! Episode 42 - The Long Vault Home! Episode 41 - The Shape of Love to Come! Episode 40 - Dummy, You Shrunk the Kids! The Pokémon School has a visiting teacher: Faba! When heshows off his invention that can reduce the size of objects for easy storage,it malfunctions, and Ash, Lillie, and Sophocles are shrunk into tiny heroes!Faba recruits Rotom Dex to help him repair the machine, and meanwhile, ourheroes are thrown into a world where everything is gigantic. They eventuallyreunite with Pikachu, who sneezes on them—causing them to return to normalsize. But just when Faba thinks he’s fixed his invention, it misfires again…andthe result is a towering Togedemaru! Professor Kukui has a new assignment for his class: teachingtheir Pokémon to dance! The students have lots of ideas—and varying degrees ofsuccess. While Mallow and Steenee are learning the traditional Alola Hula from Anelain the market, Team Rocket spies on them and makes a plan to crash theperformance. Episode 38 - A Young Royal Flame Ignites! Episode 37 - Not Caving Under Pressure! Ontheir way to the ferry back to Melemele Island, our heroes take a shortcutthrough a cave. They find an area filled with luminescent moss, and Kiawe’soverexcited Marowak starts a commotion that separates everyone into groups.While the others try to find their way out, Lillie, Sophocles, and Mallowdiscover a group of Alolan Sandshrew in training. The Sandshrew are threatenedby a Tyranitar, but Lillie intervenes. She challenges Tyranitar to a DoubleBattle—and wins with the help of Snowy and the Sandshrew Boss! To show theirgratitude, the Sandshrew present Lillie with her very own Icium Z! Episode 36 - Showering the World with Love! The Pokémon School students are visiting HokulaniObservatory for a meteor shower—no, it’s a Minior shower! The space-dwellingPokémon fall to the ground, their heavy shells cracking open in a beautifuldisplay of color and light. Ash is back on Melemele Island, watching a fireworks displaywith his Pokémon School classmates. Toward the end of the show, a strangecreature starts creating even more fireworks—by making its own head explode!The next day, Lusamine summons the Ultra Guardians to deal with this UltraBeast! Episode 34 - Guiding an Awakening! Ash’s grand trial on Ula’ulaIsland is in full swing, and the kahuna has lots of twists and turns in storefor the battle! Episode 33 - A Battle Hand-Off! Episode 32 - Some Kind of Laziness! Thanks to Acerola’s help, Ash arrives at the Ruins ofAbundance, home of the Ula’ula Island Guardian Tapu Bulu. Ash wants to trainwith Tapu Bulu to prepare for his rematch against the Island Kahuna Nanu, andafter our hero demonstrates his friendship with his Pokémon, Tapu Bulu springsinto action! Showing immense power, the Island Guardian engages Ash andLycanroc in battle—and Lycanroc learns how to use Stone Edge! As the bondbetween Ash and Lycanroc grows, Tapu Bulu returns to its nap, satisfied thatthe training session was a success! Episode 31 - Tough Guy Trials! Ash can’t contain his excitement as he arrives on Ula’ulaIsland for his next grand trial. But Nanu, the island kahuna, has other ideasand leads Ash to believe someone else is the kahuna. To Nanu’s dismay, Acerolablows his cover and convinces him to grant Ash a “pre-trial” battle. Nanu isconvinced Ash isn’t ready, and after his Krookodile soundly defeats Ash’sLycanroc, he seems to prove his point. But Ash never gives up, and he vows tostay on the island and train hard for a rematch! Episode 30 - Why Not Give Me A Z-ring Sometime! Episode 29 - Sours for the Sweet! The annual Alola Bread Festival is coming up, and Mallow’sbrother Ulu has unexpectedly returned home to enter! When Nina from the pancakerestaurant stops by to wish Ulu good luck, he vows to win for her sake. But allhis sweet Grepa Berries disappear, so our heroes jump in to help save hisentry. Mallow suggests making jelly from sour Grepa Berries, sweetening it, andspreading it on Ulu’s bread. And it works! Ulu’s bread wins first prize…butwhen he discovers Nina’s already engaged to someone else, he suddenly takes offagain on his cooking journey! Episode 28 - Dewpider Ascending! On Melemele Island, a wild Dewpider leaves its nest insearch of its own pond to call home. Along the way, it gets caught up inconfrontations with various Pokémon who don’t take kindly to intruders. Episode 27 - The Young Flame Strikes Back! While Kiawe works on his family’s farm on Akala Island, adeveloper named Viren pays an unwelcome visit. He wants to buy the farm so hecan destroy it and build a resort hotel on the land. When Kiawe’s parents turnhim down, Viren turns to shady tactics, first buying land upstream from thefarm and cutting off their water supply, and then threatening to unleash hisbulldozers! One of Sophocles’s favorite fairy tales is “The CelestialStarship,” which tells of a brilliant star that landed in a bamboo grove andlived there until it returned to its home on the moon. When our heroes learn ofan Ultra Beast named Celesteela who’s in a similar situation, they’reamazed—but Sophocles isn’t surprised at all! The Ultra Guardians spring intoaction to help Celesteela get home, but they have to be careful, as the UltraBeast is filled with explosive gas. Thankfully, our heroes’ efforts pay off,and Celesteela returns home safely, leaving the bamboo unscathed! Episode 25 - Real Life...Inquire Within! Nurse Joy is feeling a bit under the weather today, but Ash and friends are here to help! Episode 24 - Love at First Twirl! Our heroes are about to welcome an unexpected addition into the family - unexpected in so many delightful ways! Pokémon School graduate Ilima teaches our heroes about an activity that's near and dear to his heart! Episode 22 - Turning Heads and Training Hard! The Pokémon School is thrilled to have a surprise visit fromone of its most accomplished graduates, Ilima! Ash and Lillie are amazed tohear the many legends about Ilima’s adventures as a Trainer, and they’redetermined to see if those legends are true. Episode 20 - Pushing the Fiery Envelope! The mysterious Masked Royal and his partner Incineroar starin the Battle Royal, an Alolan tradition in which four Pokémon battle until thelast one standing is the winner. Ash, watching on TV, can’t wait to get in onthe action—and the next day, he gets his chance! Episode 19 - Acting True to Form! When Team Rocket encounters an Alolan Meowth, Jessie andJames admire its clever demeanor—but our Meowth knows from experiencethat this lookalike is only looking out for number one! To Meowth’s chagrin,Jessie and James want Alolan Meowth to join Team Rocket, and it even comes up witha plan to catch Pikachu once and for all. But when the plan’s set into motion,Alolan Meowth is nowhere to be found! When it reappears at Team RocketHeadquarters with the Boss, Jessie and James realize they’ve been had. Meowthis filled with jealousy, but he can also breathe a sigh of relief, as thingsare back to normal again! Episode 18 - A Mission of Ultra Urgency! Episode 17 - Getting a Jump on the Competition! The Pokémon School students, Professor Kukui, and KahunaHala are visiting Mount Lanakila on Ula’ula Island, where they meet Cerah, astar of the Pokémon Sled Jump event. With the help of her Alolan Ninetales,Cerah introduces our heroes to the sport, and Lillie and Snowy are excited totry it together—even regaining their confidence after crashing during apractice run. Episode 16 - Tasting the Bitter with the Sweet! When Harper and Sarah tell Lana that a Pokémon saved themafter they got lost in the woods, Mallow remembers the same thing happened toher and Lana when they were younger! The two friends decide it’s timeto find this Pokémon, nicknamed Grandpa Forest, and offer it their thanks.Always up for an adventure, Ash and Pikachu tag along, too! Our heroes soonlearn that Grandpa Forest must be a Drampa, and when they find its favoritebittersweet Haban Berry trees, they realize they’re on the right track. Then,after a brief scuffle with Team Rocket, Lana and Mallow joyfully reunite withtheir old friend! After a day of shopping, Team Rocket encounters Mareanie’sfirst love and mentor, a Mareanie that still has feelings for its formerprotégé. Filled with jealousy, it evolves into a Toxapex and poisons James! Inhis poisoned stupor, James decides Mareanie should be with Toxapex instead ofwith him. When Mareanie overhears this, its sadness causes it to run away. ButToxapex can’t bear to see Mareanie cry, and it challenges James to a duel towin Mareanie back. After what turns out to be an underwhelming battle, James isvictorious, and Mareanie joyously reunites with him and the rest of TeamRocket! Episode 14 - The Dex Can't Help It! Episode 13 - Let Sleeping Pokémon Lie! Our heroes are curious about the origins (and sleep habits)of Principal Samson Oak’s partner Komala. After telling the students how theymet, Samson shows off Komala’s impressive skill at battling in its sleep! Episode 12 - The Professors' New Adventure! Following their journey through the Ultra Wormhole, ourheroes return to the Pokémon School, where Lillie thanks everyone for theirhelp saving her mother. Later, during a walk on the beach, Professor Kukui asksProfessor Burnet to marry him! They aren’t planning a wedding ceremony, but ourheroes have other ideas...a surprise ceremony awaits! Episode 11 - 10,000,000 Reasons to Fight! Our heroes are battling hard against a group ofmind-controlled Pokémon, and Lusamine is still resisting rescue. When Gladionrealizes their attacks won’t stop until the Ultra Beast is defeated, Ash suggeststhe two of them use Z-Moves. Episode 10 - Rescuing the Unwilling! Episode 9 - Revealing the Stuff of Legend! Our heroes are all gathered at the Altar of the Sunne, alongwith all four of Alola’s Island Guardians. Lillie and Gladion ask the IslandGuardians for help to rescue their mother, Lusamine, who has been taken throughan Ultra Wormhole by a mysterious Ultra Beast. After Tapu Koko and the othersperform a ritual, little Nebby evolves into the mighty Solgaleo—one of theLegendary Pokémon of Alola! Episode 8 - Family Determination! Episode 7 - Faba's Revenge! Lillie can touch Pokémon again! While our heroes celebrate,a disgraced Faba is determined to prove himself to Lusamine by summoning anUltra Beast—the same one that threatened Lillie years before. He kidnaps Nebbyand convinces it to teleport him into his research lab at Aether Paradise. Episode 6 - Mission: Total Recall! After accidentally seeing Gladion and coming face-to-facewith Silvally, Lillie is once again unable to touch Pokémon—but she’sdetermined to change that! With Nebby’s help, she embarks on a journey torecall the memories behind her fear. But Faba wants none of it, having beenresponsible for Silvally’s creation in the first place. Vowing to make sureLillie never remembers her past, Faba captures her, and she’s again filled withfear. But Silvally rescues Lillie, and when she remembers that it was the onewho saved her in the past, her fear of touching Pokémon finally vanishes! Episode 5 - Night of a Thousand Poses! Our heroes are having a sleepover at Professor Kukui’shouse, and Professor Burnet agrees to join them! Everyone has a good time, butthere are a couple of hiccups: during a game of Z-Move poses, Kiaweaccidentally unleashes Turtonator’s Inferno Overdrive in the living room, andthen Professor Burnet’s Munchlax eats everything she cooked for dinner! Episode 4 - A Masked Warning! When Ash gives Lycanroc a bath, an accidental splash ofdirty water unleashes Lycanroc’s surprisingly red-hot temper! Episode 3 - Deceiving Appearances! Our heroes visit Aether Paradise run by Lillie's mother, Lusamine. While Ash and friends help with giving vaccinations, a Ditto escapes! Episode 2 - Now You See Them, Now You Don't! The Pokemon School class is sculpting with clay today! Butwhile our heroes muse about various Pokemon and places, they disappear one byone—first appearing at the scenes of their musings, then reappearing back atschool! They soon realize Nebby had used Teleport to take them to the placesand Pokemon they were thinking about. Episode 1 - A Dream Encounter! After dreaming that he made a promise to the LegendaryPokemon Solgaleo and Lunala, Ash has a hard time waking up. On his way toschool, he's sidetracked by Tapu Koko, who guides him to a strange littlePokemon that looks like a cloud of stars. Lillie nicknames it Nebby, and Ashremembers his dream: he promised to take care of it! While we should be thankful it wasn't "My Little Pony: Friendship Is Magic," former GOP White House hopeful Herman Cain admits that he cribbed a campaign speech line from the theme to "Pokemon: The Movie 2000." And everywhere, geeks and otaku weep. Pokemon is currently available to watch free on Pokemon TV and stream on Cartoon Network. You can also stream, download, buy, rent Pokemon on demand at Amazon Prime, Netflix, Amazon, Hulu, Vudu, DisneyNOW, Sling, Google Play, DIRECTV NOW online.